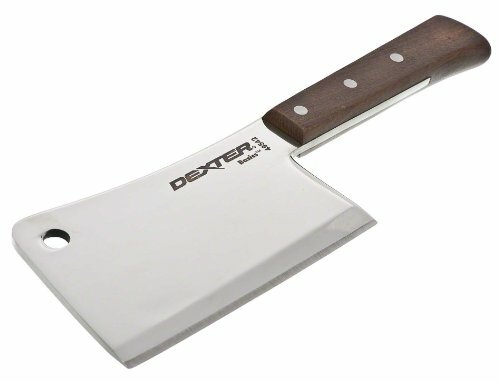 The Dexter-Russel 6â€ Cleaver part of the Russell International Series is as heavy-duty a knife as one can expect to encounter in a commercial kitchen. Cleavers are intended for whacking down on thick or tough cuts of meat thick-skinned melons and other food items that require a lot of force and a sharp edge to cut through. This cleaver is constructed with a high-carbon steel blade with a hollow ground edge. The blade tip is compete with a hanging hole cut into the metal providing easy an storage option.